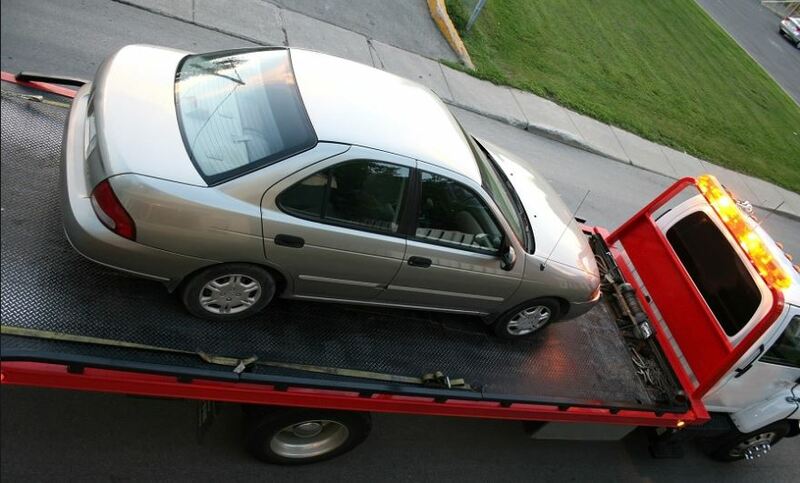 Certain vehicles may require more care, and thus people request for that, which is exactly what flatbed towing service is for. Flatbed tow trucks provide extra safety and so that your car will risk damages in the journey. 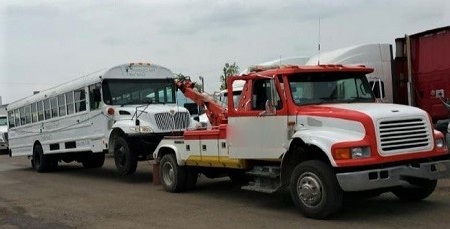 During flatbed towing, all four wheels are lifted off the ground and securely fixed to the bed or ramp of the tow truck. This greatly reduces the risk or potential for any damage to the vehicle. Flatbed towing is one popular and safe method of towing. We can tow vehicles such as motorcycles, cars, luxury cars and more with this method. There are times when a vehicle is transported for a long distance, so this method will also be used. It could also be that customer requested not let wheels contact the ground to secure the mechanical systems of the vehicle. Wheel lift towing has a number of advantages. Modern wheel lift tow trucks come with metal yokes for lifting as well as supporting the weight of the towed car by its tires. One advantage to this method is the mobility it can provide, which in turn allows vehicles to be navigated from narrow spaces. Hooking vehicle up is fast and efficient. In addition, towing through short distances with wheel lift tow truck is quick and simple. As one of the most straightforward methods in towing, wheel lift yields maximum results with minimum efforts, without causing damage to vehicles while being towed. Nobody likes to deal with car breakdowns. However, calling for a reliable car towing service near you can prove to be beneficial. If you are involved in an accident, having car trouble or difficulty in moving your car, we can provide that help you need. We have tow trucks such as wheel lift, flatbed and heavy-duty tow trucks for different towing tasks. With our comprehensive fleet of tow trucks, we can tow cars such as Ford, Honda, BMW, Mercedes and more. From motorcycles, cars to RVs, we can move them to the location you desire. Our towing service rates are affordable. Because we understand the inconvenience of the situation you can be in, so we strive to make it as smooth as possible. Serving with efficiency and professionalism, we can assist you in any roadside problems you might be facing. All types of vehicles may experience some sort of problem from time to time, therefore we provide towing services not only to car or truck, but also motorcycles. We can instantly make ourselves available with quality motorcycle towing. When your motorcycle experiences a problem out on the road, call for our professional technicians. We can arrive at your location in a prompt fashion and provide you with the timely assistance that you need. 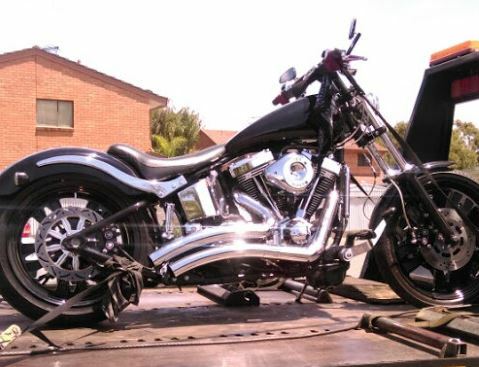 Equipped with the proper tie downs, we can handle your motorcycle properly and leave you stress-free. We apply the latest technology and best operating practices to ensure that we perform safe and smooth tow for your vehicle. If your vehicle has broken down we can safely tow it to your desired destination. Our technicians are trained highly skilled in towing, and our fleet of tow trucks are available for towing various medium-sized trucks. From vans, motorhomes, RVs, trailers and other medium-duty vehicles, we can manage and handle them with care. Our fleet of tow trucks is able to manage big heavy duty vehicles such as buses, semi-trucks, motor homes, semi-trucks, trailers and more. With our well-equipped, comprehensive tools and professional staff, we will handle these heavyweights with safety, caution and without damage. Tow trucks have certain minimum heights. 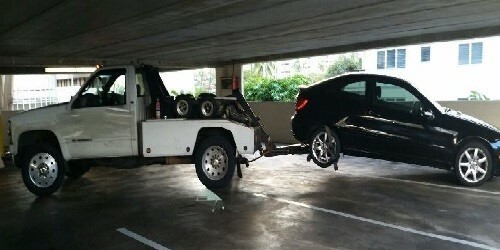 In cases where towing services are needed in low clearance areas or parking garages, certain towing vehicles may be difficult to perform towing tasks. With our low clearance tow trucks, we can perform these duties with ease and efficiency.